I love colour challenges! :) So I'm here to share with you a new card for me to enter to Newton's Nook challenge. Here I'm using Newton's Nook Love a la Carte stamp set with distress inks to make the stripes. I melted some perler beads to make my own enamel dots. Hello Marina! This is super fun! I love how you used stripes of color mixed with the squiggle border and the fun food images! 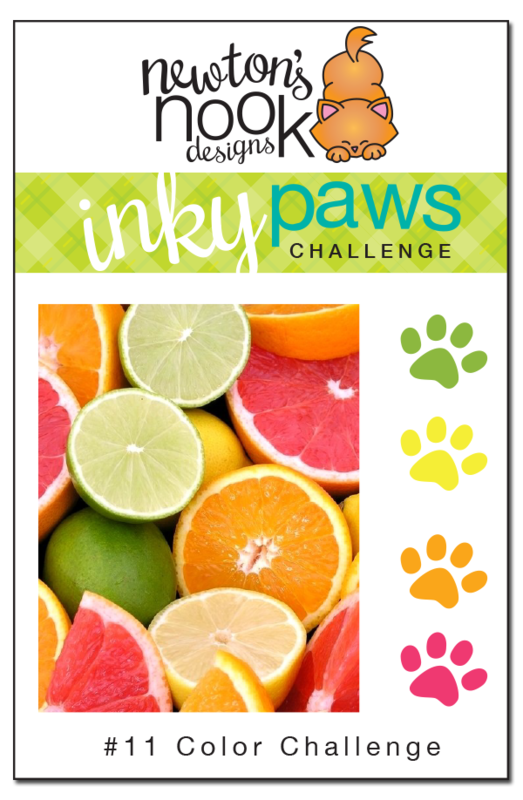 Thanks so much for playing along with our inky paws challenge! This is such a cute card and your zesty colours look fabulous. Fun card! Love the little collection of treats! Love the stripes, hand-made dots, and of course that little platter of sweet treats. Great card!